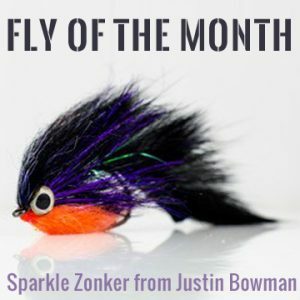 This entry was posted in Fly of the Month, Fly Tying Materials & Supplies, The Art of Fly Tying and tagged fly tying, fly tying instructions, fly tying materials on December 29, 2016 by Justin Bowman. Every month we feature one fly, give you links to all the ingredients and a full list of steps to complete the fly for yourself. 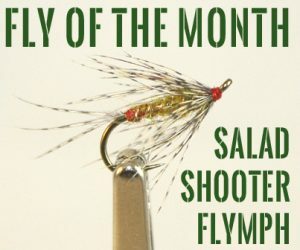 For December 2016, we offer you the SALAD SHOOTER FLYMPH! This entry was posted in Fly of the Month, Our Regular Contributors, Paul Beel, Frankenfly and tagged fly fishing, fly tying, fly tying materials, fly tying recipe on December 28, 2016 by Paul J Beel. In October we launched a new feature on our site, the Fly of the Month. 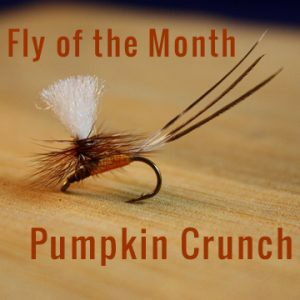 The first fly we highlighted was the Pumpkin Crunch, a parachute dry fly that you can dead drift while fishing for browns, brookies or rainbow trout. Here’s how to tie it! This entry was posted in Fly of the Month, Our Regular Contributors, Paul Beel, Frankenfly and tagged fly fishing, fly fishing tips, fly tying, fly tying materials, fly tying recipe on December 26, 2016 by Paul J Beel.